So why reinvent the wheel? Let's see what is working for those that are successful and then adopt some of their strategies or habits. Which particular mental skills do most successful athletes seem to have in common? 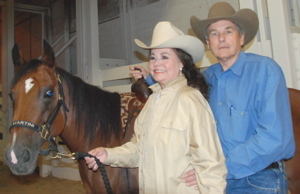 Owner Dottie St. Clair Hill and her husband, Bobby, with Stylish Martini Stylish Martini and Roger Wagner completed their last limited-age event in Fort Worth’s Will Rogers Coliseum by winning the National Cutting Horse Association [NCHA] Summer Spectacular Classic/Challenge Open finals Saturday with a 226. The score impressed everyone, but didn’t shock anyone. The East Coast Reined Cow Horse Classic runs from July 17-21 in Murfreesboro, Tenn. The Greatest Vaquero competition is one of the featured classes at one of the year’s first futurities for reined cow horses. For more information, visit the show’s website. Reining By The Bay runs from July 17-21 in Woodside, California. The $55,000-added SmartPak 3-Year-Old Futurity, $35,000-added Bobs Custom Saddles Non-Pro Derby and $60,000-added Bobs Custom Saddles Open Derby are just a few of the highlights of this popular and fun show! View the current draws and results. A multimillion-dollar legal battle over the role of cloning in the elite quarter horse industry opened Wednesday in an Amarillo federal courtroom in an antitrust case pitting two area horse breeders against the 280,000-member American Quarter Horse Association. Taris Little VintageWith results of the 2013 National Reining Horse Association (NRHA) Derby now official, the Association is pleased to announce that NRHA Hall of Fame inductee Taris Little Vintage has become NRHA's All-Time Leading Dam based on offspring earnings. 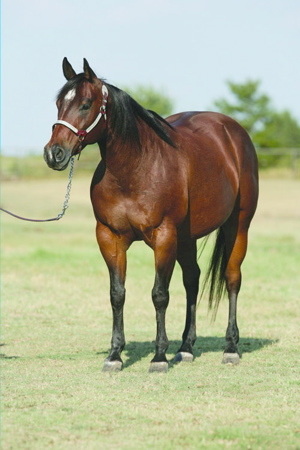 Her progeny have earned $672,900 in NRHA competition. Congratulations to Rebecca Santavy of Brighton, Colorado! This photo of her horse, Bars Silver Lena, in action with the magnificent Tetons as the backdrop won this week’s Omega Alpha - Equine Horsecity.com/Quarter Horse News Action Photo Contest. I didn’t mean to do it. I wasn’t totally prepared, and it probably came out all wrong. I stood up and spoke at a committee meeting during the National Cutting Horse Association (NCHA) Convention in Fort Worth, Texas. Summer takes a toll on us all. With temperatures circling the century mark almost anywhere in the U.S., we should all be mindful of how this affects our horses. Most trainers in the Southwest will start working horses about 3 a.m. these days just to avoid the worst of the heat.